It was 2015 when documentary The True Cost revealed to us the horrible reality of the fast fashion revolution—how it sews poverty, oppression, environmental destruction, consumerism, and global capitalism together. Fortunately, this paved the way to the resurgence of slow fashion, a movement that pushes mindful manufacturing, fair labor rights, and quality garments. Along with this, concepts emerge like the idea of a capsule wardrobe. Having this kind of highly-edited closet urges consumers to choose what they buy carefully—every piece should combine with others, enrich your personal style, and suit the season. 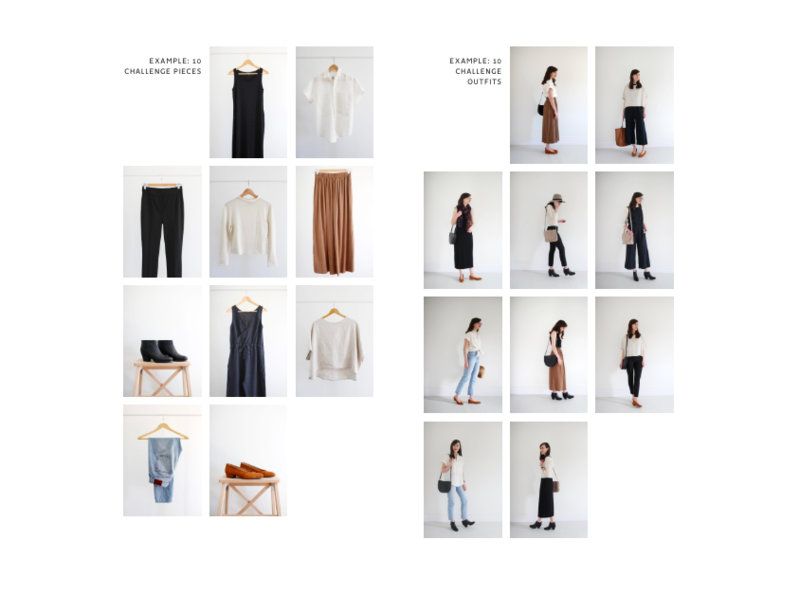 Assembling a capsule wardrobe may look like a challenge, but there’s a new and tougher minimalist test in town—the 10 x 10 Style Challenge. It was an idea and a personal exercise by Canadian stylist Lee Vosburgh (Style Bee) four years ago where she challenged herself to wear various combinations of the same 10 items for 10 consecutive days. “[I made this challenge] to help encourage myself to get more creative with my clothes during a 30-day shopping fast,” she says on her website. She also said that those who’ve tried the challenge gained a better sense of their personal style, had a style breakthrough and learned a new look that they “would have never tried but love,” and realized that they don’t need a huge closet. Pick any 10 items from your current closet—tops, sweaters, pants, dresses, shoes, and coats. Accessories and jewelry aren’t included. Style those items into 10 different looks. Use any 10 days to use them. To join, post your outfits and stories using the common hashtags (#10x10challenge or #stylebee10x10). But if you want to keep your journey to yourself, there’s no problem with that, too. This challenge may help you get satisfied with what you already have and get insight into your shopping and spending habits. You may also consider this an introduction to slow fashion.